The lead track ‘Alice’ combines a relative speed and a quirky style and creates something that almost sounds like Vampire Weekend softened by a few influences from 80s pop. It isn’t their most immediate number and so possibly won’t make the best first impression, but in terms of the way the pieces all fit, it’s one of Best Boys Electric’s better numbers. The way drummer Suzie High drives the verses with a very percussive bent really makes the track and a few listens soon uncovers a more than reasonable chorus hook. Even poppier, ‘Difference’ works a wobbly synth sound during the verses which compliments ringing guitars excellently, but the magic really happens on the chorus where a world of overdriven guitars unleash something that sounds like a European Weezer. It’s all really familiar, but in terms of homage, it’s fairly solid. Similarly, ‘Everybody’s Happy’ has a strong root within a Weezer-esque sound, but a more mechanical approach accentuates a love of new wave bands and probably as much love for the more annoying elements of Cheap Trick’s legacy. However, Best Boys Electric seem all knowing that within the slightly irritating sounds, listeners will find melodies that really stick. Guitarist Halfnelson (presumably naming himself after Sparks’ former moniker) plays with a simplistic but forthright manner, which seems to compliment an odd lyric that’s much hampered by a second language barrier. Even with the flaws, it’s still fun to spot references to characters within Ramones songs, references to one or two Ramones themselves and even John Lennon – the “Silver” to McCartney’s original “Ramone”. Best of all, ‘Hometown’ takes the power pop that lurked beneath the opener’s surface, cranks up the guitars and gang vocals and, in doing so, serves up an instantly lovable but very retro banger. With fuzzy bass work topped by something akin to a new wave keyboard, Best Boys Electric channel their inner Fountains of Wayne and it’s a style that’s perfectly suited to the carefree, slightly accented vocals. Chorus wise, everything goes up a further notch and the end result sounds like something that fans of noisier power pop will want to hear again and again. The fact that the overriding melody seems to resemble the tune of a half-remembered Saturday morning cartoon only makes it even better! 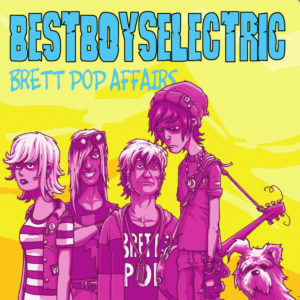 There’s nothing here that’s especially original, but it’s probably fair to assume that wasn’t really Best Boys Electric’s aim when they recorded these songs. 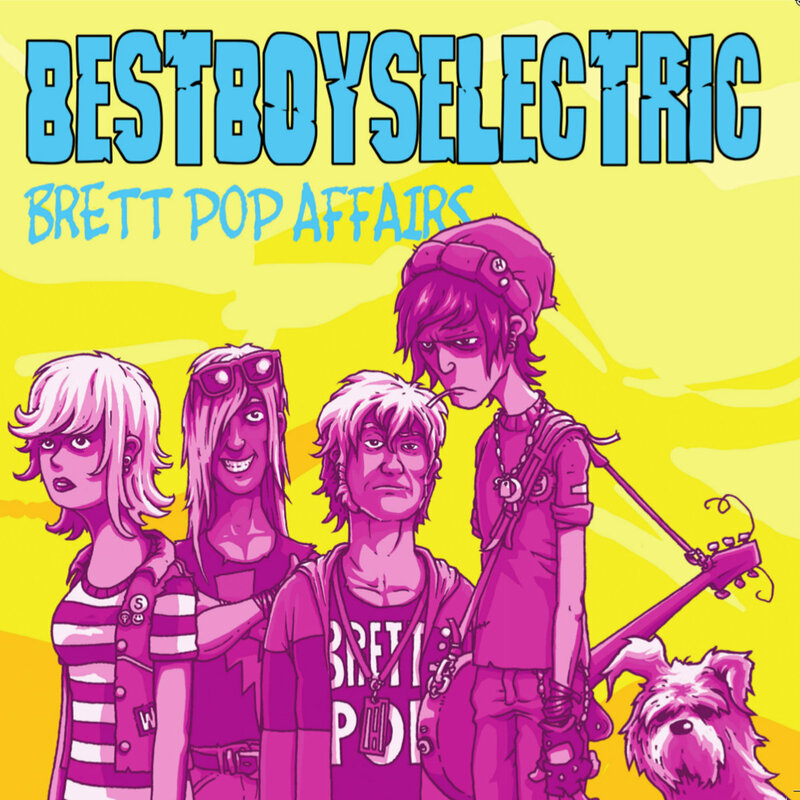 ‘Brett Pop Affairs’ is far more about paying tribute to various 70s and 90s musical heroes and shaking those influences up a little with a couple of different quirks. If you like power pop and new wave influenced sounds and are able to hear some solid ideas behind the less than perfect production values, chances are you’ll get a kick out of this EP. This entry was posted in Album & EP Reviews and tagged best boys electric, germany, new wave, power pop, retro, stream by Real Gone. Bookmark the permalink.